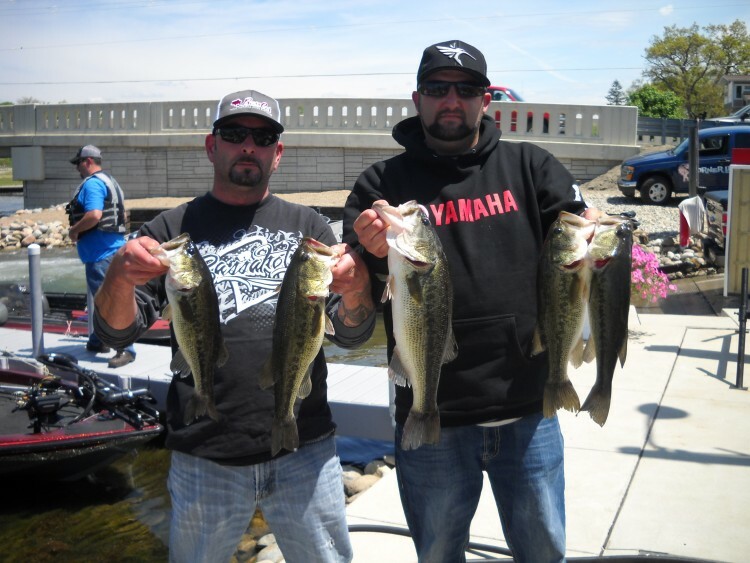 For the ​​second tournament in a row the Randol brothers are at the top of the R and B Bass Circuit. Besting their second place finish on Hamilton the dynamic duo came home with top honors this week. 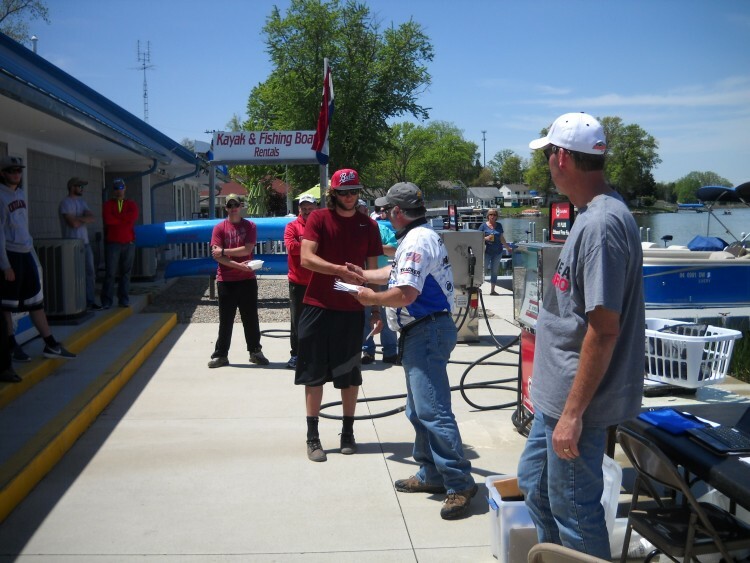 For their efforts they brought home $700 plus they will receive a Certificate from Rod Bender Baits. The Indianapolis native made the drive up north and proved that being the call boat doesn't represent much of a disadvantage. ​​Mike brought 13.81 lb. to the scales with a 3.81 lb. big bass covering his gas with $428 in cash. Mike and Colin started their day in N. Snow Bay blind casting a centipede at and around piers. This is the tactic that got them their biggest fish of the day a 4.09 pounder. Later in the day the team made their way to Lake James where they targeted bedding fish under docks using a Beaver. Not worrying about large numbers of fish but rather the quality fish they ​​​brought 12.72 lb. to the scales with a 4.09 lb. big bass and a $272 pay day. Kyle and Michael brought 11.23 lb. in with a big bass of 3.33 pounds netting them a check for $194. The team brought 10.38 lb. to the scale the largest of whight the largest of which was 3.32 pounds and ended up taking home $136. For the second tournament in a row school was in session. To bad the pupal played hookey. Heath brought 9.65 Lb. in five fish to the scales with a big bass of 2.45 Lb. The team ended up taking home $117. Rich and Denny hit again with 14.64 Lb. in five fish to the scales with a big bass of 3.35 Lb. The team ended up taking home $97. Aaron and Bob brought in the second largest fish of the day at 4.77 lb and were rewarded with a $74 pay check. 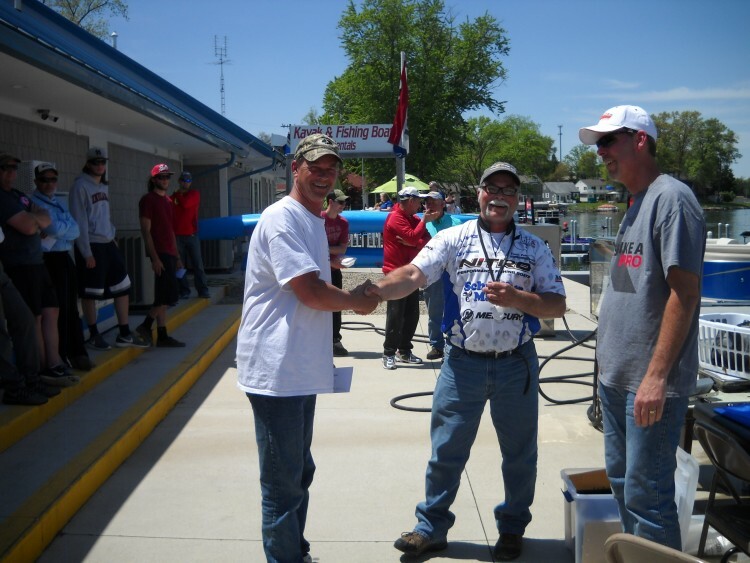 ​​Greg and Kevin placed 8th with 8.5 pounds with a big bass of 3.10 pounds. 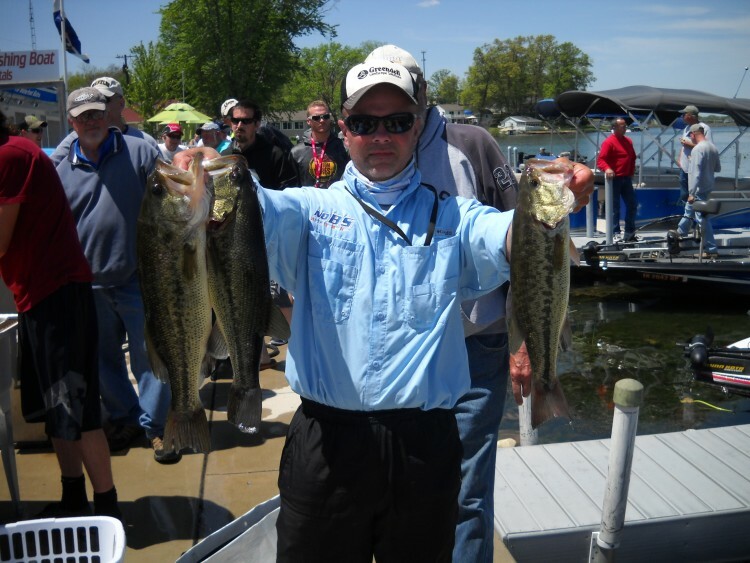 ​​Kevin and Don placed 16th for the second tournament in a row. This time the team weighed in with 4.43 Lb. 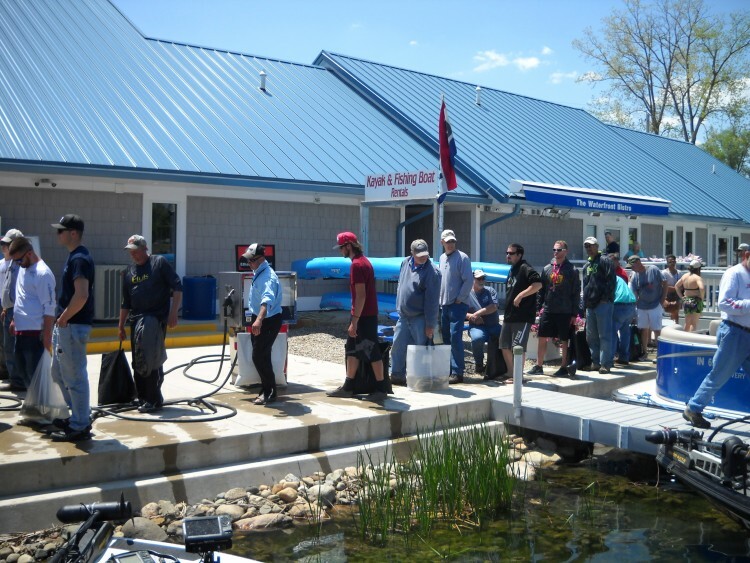 The R & B Bass Circuit Eastern Division hit Lake James on May 21st with 37 boats. Although not perfect weather, and many reported they didn't know exactly what to do to catch fish without the rain, snow and freezing cold weather. In the end anglers reported that not only is the fishing better in the east but the weather is too. 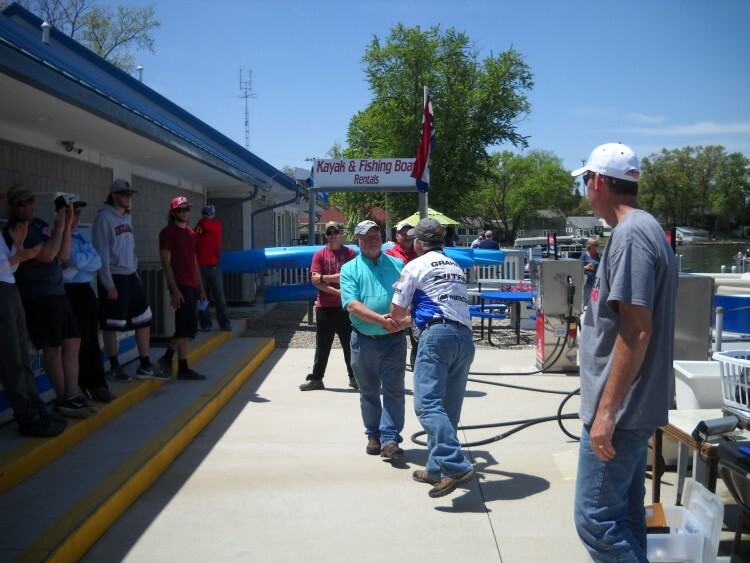 Big Bass : Also for the second tournament in a row, the Randol's have demonstrated not only their fishing skill but have brought to the scales a Bass over 5 pounds. taking top big bass honors again. Todays catch was 5.33 slightly larger the Hamilton's 5.15 lb. fish netting the two another $296.00 in prize money. The two split the lake up pre fishing. Doyle concentrated on Little Otter, Big Otter and Snow lake, while Frank scouted James and Jimmerson all the way back to the Nevada Mills​​ Dam. They hunted down and marked the location of bedding fish to target come tournament day. They started fishing on the Otter end of the chain. Early in the morning Frank was working a bed using a watermelon centipede and Doyle was casting parallel to the shore when Doyle hooked their largest bass of the day. The fish bit a Pig and Jig and got to spend the rest of the day getting acquainted with her relatives from around the chain of lakes. 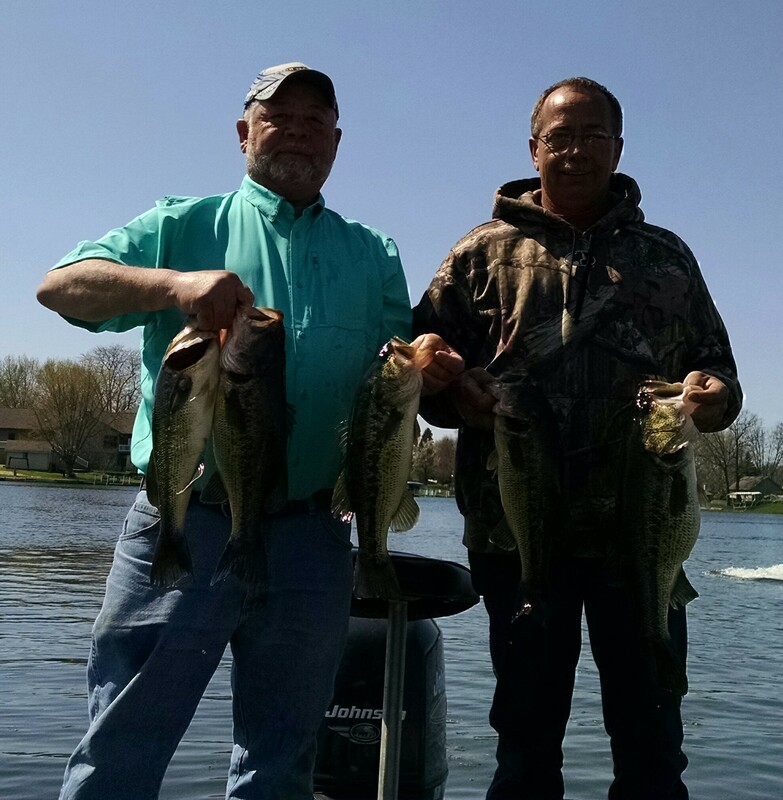 They had their first limit in the boat early before moving on to the bigger lakes.